Linzey is using Smore newsletters to spread the word online. 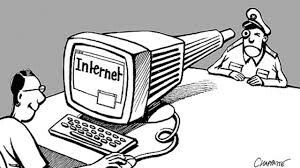 Two disadvantages of sharing information online is people could catfish you. Also people could start stalking you. Two advantages are people can get to know you. Also you could meet people who are interested in the same things and become friends. Three pieces of information you should keep private is where you live, your phone number, and your age . There are many affects that a negative online post might have on someones reputation. You can get fired from your job, get kicked off a sports team, get in trouble at school or you could possibly go to jail. Cyberbullying is when a person is bullied, threatened, or harassed on the internet or social media. An example is a someone commenting mean things on someones social media post or pictures. The victim can tell a trusted adult. To de-escalate the situation you can ignore the bully, delete your social media account or block the bully. Rachael was so happy with how her life was. But then she started getting threatening e-mails from someone through her myspace account. She didn't tell her parents even when the e-mails continued. She finally told her sister and she told their parents. They knew it was someone from the school because they knew what classes she took and knew where she lived by following her bus home. They couldn't find out who it was. One day they e-mailed her and said " I wont put you in the hospital, I will put you in the morgue." After that she took her own life and no one was found guilty. Both of the advertisements are trying to sell an item. The tooth paste one uses weasel words and scientific evidence techniques. The Nike one uses celebrity endorsement and bandwagon techniques. 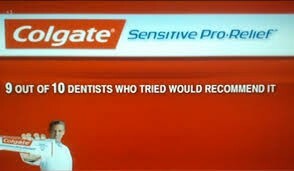 The Colgate ad targets anyone who wants white teeth or brushes there teeth. 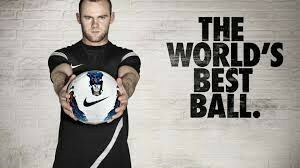 The Nike targets soccer players. I think it is unethical to digitally manipulate photos. They are completely changing the way someone looks and it is not even real. They are lying about how someone really looks. They make you believe that you have to look like a model when you really don't. The media affects gender stereotype a lot. They show pictures of how you are suppose to look and say how to act. If you don't do these things they make you feel like you aren't normal. Also they make you think you have to change the way you are to the way they want you to look and act. I think violence in the media affects kids in a negative way. It shows them violence and puts ideas in their head. Also in the media when violence happens there is no consequences when it happens. 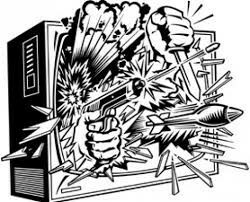 I disagree with this statement " violent video games and movies teach kids to kill." I think it puts the idea in their head but it doesn't teach them. I think it would be the hardest to go a week without my phone. It would be hard because i use it everyday to do a bunch of things. I listen to music a lot, get on social media and text my friends. It would be hard to just give that up because i'm so used to having it everyday. Technology places a huge part in my life. Its just how our generation. Yes i think teens feel pressured to present themselves in a certain way online. If you present your self in a different way that is not normal you will get judged and nobody wants to get judged. Everyone wants to seem perfect and normal. This is just the way society works now and its not right. I think it is different for boys than it is for girls.